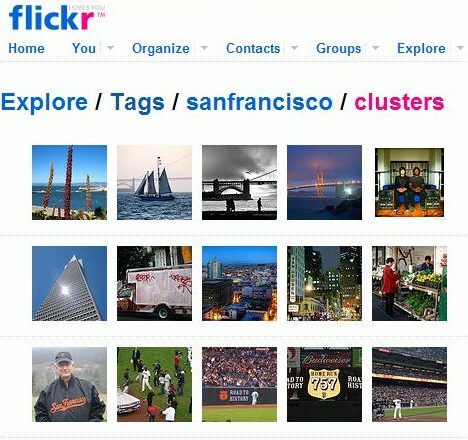 In April of this year (2008), at the 17th International World Wide Web Conference in Beijing, China, Google researchers presented their findings on an experiment that they performed involving a new way of indexing images which relied to some degree on the actual content of the images instead of things such as text and meta data associated with those pictures. 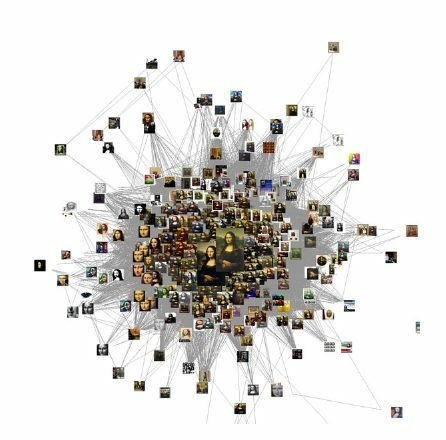 The paper, PageRank for Product Image Search (pdf), details the results of a series of experiments involving the retrieval of images in for 2000 of the most popular queries that Google receives for products, such as the iPod and Xbox. The authors of the paper tell us that user satisfaction and relevancy of results were significantly improved in comparison to results seen from Google’s image search. News of this “PageRank for Pictures” or VisualRank spread quickly across many blogs including TechCrunch and Google Operating System, as well as media sources such as the New York Times and The Register from the UK. We introduce a novel, simple, algorithm to rank images based on their visual similarities. We introduce a system to re-rank current Google image search results. In particular, we demonstrate that for a large collection of queries, reliable similarity scores among images can be derived from a comparison of their local descriptors. The scale of our experiment is the largest among the published works for content-based-image ranking of which we are aware. Basing our evaluation on the most commonly searched for object categories, we significantly improve image search results for queries that are of the most interest to a large set of people. In the conclusion to PageRank for Product Image Search, the authors noted some areas that they needed to explore further, such as how effective their system might work in real world circumstances on the Web, where mislabeled spam images might appear, as well as many duplicate and near duplicate versions of images. A new paper from the authors takes a deeper look at the algorithms behind VisualRank, and provides some answers to the problems of spam and duplicate images – VisualRank: Applying PageRank to Large-Scale Image Search (pdf). The new VisualRank paper also expands upon the experimentation described in the first paper, which focused upon queries for images of products, to include queries for 80 common landmarks such as the Eiffel Tower, Big Ben, and the Lincoln Memorial. This VisualRank approach appears to still rely initially upon older methods of ranking images which look at things such as text and meta data (like alt text) associated with those images, to come up with a limited number of images to compare with each other. Once it receives those pictures in response to a query, a reranking of those images take place based upon shared features and similarities between the images. Hopefully, if you have a website where you include images to help visitors experience what your pages are about in a visual manner, you’re now asking yourself how good a representation your picture is of what your page is about. Being found for images on the web is another way that people can find your pages. And, the possibility that a search engine might include a picture from your page in search results next to your page title and description and URL is a very real one – Google has been doing it for News searches for a while. A newly granted patent from Yahoo describes how information collected from usage log files from toolbars, ISPs, and web servers can be used to rank web pages, discover new pages, move a page into a higher tier in a multi-tier search engine, increase the weight of links and the relevance of anchor text for pages based upon those weights, and determine when the last time a page has been changed or updated. When you perform a search at a search engine, and enter a query term to search with, there are a number of steps that a search engine will take before displaying a set of results to you. One of them is to sort the results to be shown to you in an order based upon a combination of relevance and importance, or popularity. Over the past few years, that “popularity” may have been determined by a search engine in a few different ways. One might be based upon whether or not a page is frequently selected from search results in response to a particular query. Another might be based upon a count by a search engine crawling program of the number of links that point to a page, so that the more incoming links to a page, the more popular the page might be considered. Incoming links might even be treated differently, so that a link from a more popular page may count more than a link from a less popular page. Those measures of the popularity of a page, based upon clicks in search results and links pointing to that page, are somewhat limited. 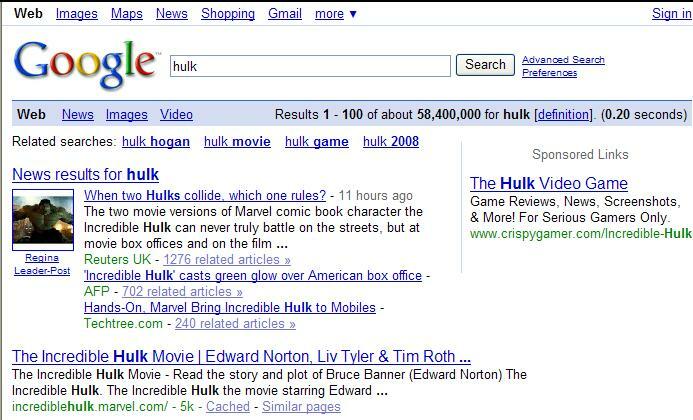 It’s still possible for a page to be very popular and still be assigned a low popularity weight from a search engine. A web page is created, and doesn’t have many links pointing to it from other sites. People find the site interesting, and send emails to people they know about the site. The site gets a lot of visitors, but few links. It becomes popular, but the search engines don’t know that, based upon a low number of links to the site, and little or no clicks in search results to the page. A search engine may continue to consider the page to be one of little popularity. Instead of just looking at those links and clicks, what if a search engine started paying attention to actual traffic to pages, measured by looking at traffic information from web browser plugins, web server logs, traffic server logs, and log files from other sources such as Internet Service Providers (ISPs)? A good question, and it’s possible that at least one search engine has been using such information for a few years. Yahoo was granted a patent today, originally filed in 2002, that describes how search traffic information could be used to create popularity weights for pages, and rerank search results based upon actual traffic to those pages, and be used in a number of other ways. Whether a page has been modified since the last time a search engine index was updated can be determined by looking at the traffic logs for a last modified date or an HTTP expiration date. A method and apparatus for using network traffic logs for search enhancement is disclosed. According to one embodiment, network usage is tracked by generating log files. These log files among other things indicate the frequency web pages are referenced and modified. These log files or information from these log files can then be used to improve document ranking, improve web crawling, determine tiers in a multi-tiered index, determine where to insert a document in a multi-tiered index, determine link weights, and update a search engine index. The information contained in network usage logs can indicate how a network is actually being used, with popular web pages shown as being viewed more frequently than other web pages. This popularity count could be used by itself to rank a page, or it could be combined with an older measure that uses such things as links pointing to the page, and clicks in search results. Instead of looking at all traffic information for a page, visits over a fixed period of time may be counted, or new page views may be considered to be worth more than old page views. Usually a search engine crawling program discovers new pages to index by finding links to pages on the pages that they crawl. The crawling program may not easily find sites that don’t have many links pointing to them. Pages that don’t have many links to them, but show up frequently in log information may even be promoted for faster processing by a search crawler. It’s not unusual for a search engine to have more than one tier of indexes, with a relatively small first-tier index which includes the most popular documents. Lower tiers get relatively larger, and have relatively less popular documents included within them. A search query would normally be run against the top level tier first, and if not enough results for a query are found in the first tier, the search engine might run the query against the next level of tiers of the index. Network usage logs could be used to determine which tier of a multi-tier index should hold a particular page. For instance, a page in the second-tier index could be moved up to the first-tier index if its URL shows up with a high frequency in usage logs. More factors than frequency of a URL in a usage log could be used to determine which tier to assign a document. The number of incoming links to a page may be used to determine the popularity of that page. A weight may also be assigned based upon the relationship between words used in a link and the documents being linked to with that link. If there is a strong logical tie between a page and a word, then the relationship between the word and the page is given a relatively higher weight than if there wasn’t. This is known as a “correlation weight.” The word “zebra” used in the anchor text of a link would have a high correlation weight if the article it points to is about zebras. If the article is about automobiles, it would have a much lower correlation weight. Thus, those links that are frequently selected may be given a higher link weight than those links that are less frequently selected even when the links are to the same document. In other words, pages pointed to by frequently followed links could be assigned higher popularity values than pages with more incoming links that are rarely followed. If a word pointing to a page is in a link (as anchor text), and the link is one that is frequently followed, then the relevance of that page for the word in the anchor text may be increased in the search engine’s index. For example, assume that a link to a document has the word “zebra”, and another link to the same document has the word “engine”. If the “zebra” link is rarely followed, then the fact that “zebra” is in a link to the document should not significantly increase the correlation weight between the word and the document. On the other hand, if the “engine” link is frequently followed, the fact that the word “engine” is in a frequently followed link to the document may be used to significantly increase the correlation weight between the word “engine” and the document. This patent was originally filed back in 2002, and some of the processes it covers are also discussed in more recent patent filings and papers from the search engines, such as popularity information being used to determine which tier a page might be on in a multi-tier search engines. Some of the processes it describes have been assumed by many to be processes that a search engine uses, such as discovering new pages from information gathered by search engine toolbars. A few of the processes described haven’t been discussed much, if at all, such as the weight of a link (and the relevance of anchor text in that link) being increased if it is a frequently used link, and decreased if it isn’t used often. It’s possible that some of the processes described in this patent haven’t been used by a search engine, but it does appear that search engines are paying more and more attention to user information that they do collect from places like toolbars and log files from different sources. 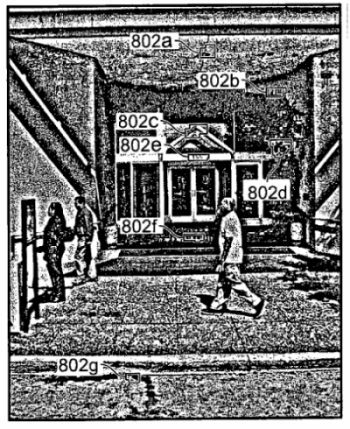 This patent is one of the earliest from a major search engine that describes how such user data could be used in a fair amount of detail. A successful web site is one that fulfills the objectives of its owners and meets the expectations of the visitors that it was created to serve. The Web has been characterized by its rapid growth, massive usage, and its ability to facilitate business transactions. This has created an increasing interest for improving and optimizing websites to fit better the needs of their visitors. It is more important than ever for a website to be found easily on the Web and for visitors to reach effortlessly the content for which they are searching. Failing to meet these goals can mean the difference between success and failure on the Internet. — User Query Data Mining and Related Techniques, (US Patent Application 20080065631), by Ricardo Alberto Baeza-Yates and Barbara Poblete. The patent filing discusses how information about queries that people use, collected from search boxes on a site (if one is used) and from search engines bringing people to a site, can provide useful and helpful information about how people use that site. The collection of this kind of information is often referred to as Web Mining, and looking closely at the words people use to find information on a site can tell us something about the actual information needs of those visitors. Search engines have studied searchers’ queries mostly to try to make search engines work better, but looking at the words people use to find a site, and to search within it once they have found it, could help to make the web sites themselves better. Methods and apparatus are described for mining user queries found within the access logs of a website and for relating this information to the website’s overall usage, structure, and content. Such techniques may be used to discover valuable information to improve the quality of the website, allowing the website to become more intuitive and adequate for the needs of its users. One tool that many site owners use on their pages are analytics programs, though often those are looked at to see how much traffic is coming to a site, and possibly to determine which words people are using to find a site. Analytics programs can provide a stronger role in helping people with web sites improve the experience of people visiting their pages, and the success of their sites. Content — the information that a web site provides to visitors such as the text and images and possibly video and audio, that people see when they come to a site. Structure data — this is information about how content is organized on a site, such as the links between pages, the organization of information on pages, the organization of the pages of the site itself, and the links to pages outside of the site. Usage data — this information describes how people actually use the site, and may be reflected in the access log files of the server that the site is on, as well as data collected from specific applications on the site, such as people signing up for newsletters or registering with a site and using it in different ways. Knowing which pages people visit and which pages people don’t can be helpful in figuring out if there are problems with a site. They can uncover a need to rewrite pages, or to reorganize links, or make other changes. According to specific embodiments of the invention, a model is provided for mining user queries found within the access logs of a website, and for relating this information to the website’s overall usage, structure, and content. The aim of this model is to discover valuable information which may be used to improve the quality of the website, thereby allowing the website to become more intuitive and adequate for the needs of its users. This model presents a methodology of analysis and classification of different types of queries registered in the usage logs of a website, including both queries submitted by users to the website’s internal search engine and queries from global search engines that lead to documents on the website. As will be shown, these queries provide useful information about topics that interest users visiting the website. In addition, the navigation patterns associated with these queries indicate whether or not the documents in the site satisfied the user’s needs. Queries uncovered might be related to categories drawn from such things as navigational information found on a site. Visitors to a site will follow links that use words within the links that provide some level of confidence that the information being looked for will be upon the other side of those links (The Right Trigger Words as User Interface Engineering’s Jared Spool calls them). Likewise, when someone searches at a search engine, and sees a page title and a snippet of text for a site in search results, the words used in the title and snippet may persuade someone to visit the page. This is true both for search results from a search engine, and search results from an internal search for a specific site. Understanding what kind of information is being searched for regarding a specific query, and how the words used in search results, on web pages, and in links to other pages may provide some insight into making those search results, those pages, and that anchor text better. The patent application describes how pages and the queries used to reach them can be classified based upon how they are typically used by a visitor – from external searches through a search engine, from internal searches through a web site search, or through navigation on the site itself. It also classifies queries as successful or unsuccessful, based upon things such as whether someone visited a page in response to the display of a search result showing the page, or if they followed other links on pages visited to explore a site in more depth. Seeing how pages are typically reached on a site in response to certain queries, and seeing which queries are successful and unsuccessful in bringing people to information that they want to find can help a site owner make positive changes to a site. The patent application provides an example using a portal targeted at university students and future applicants. The suggested improvements were made mainly to the top pages of the site and included adding Information Scent to link descriptions, adding new relevant links, and suggestions extracted from frequent query patterns, and class A and B queries. Other improvements included broadening the content on certain topics using class C queries, and adding new content to the site using class D queries. For example the site was improved to include more admission test examples, admission test scores, and more detailed information on scholarships, because these were issues consistently showing up in class C and D queries. The “class C” queries mentioned are ones where there was very little information available on the pages of the web site. The “class D” queries were ones for which there was no information available on the site. One significant result of these changes showed an increase in traffic from external search engines of more than 20%, due to improvements in content, and in link text. It’s interesting that a search engine would apply for a patent that explores how to use data mining to improve the quality, content, and navigation of a web site. It’s difficult to tell what Yahoo might do with the method describe in this patent application – whether they will only use it internally, or will offer it to others for a fee, or for free. Many of the concepts described in this patent application are ones that site owners can presently use to improve how well their site meets their objectives, and the objectives of people visiting their pages. Understanding the terms that people will try to use to find your pages, and the words and concepts that they expect to see on the pages of your site can make a difference in how successful your site may be. Using analytics tools to understand how visitors who use certain queries will explore your pages and navigate from one page to another can provide even more value to both searcher and site owner, by pointing out changes that can be made to improve the experience of those visitors. And those changes may just lead to more visits from search engines.